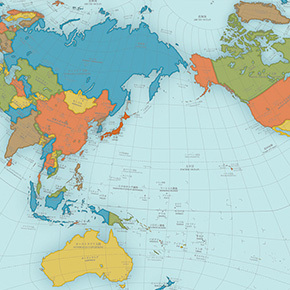 I bet you’re fairly familiar with the world map, but did you know that the most popular version of it, that we study and use, is actually not a very accurate representation of an actual globe? 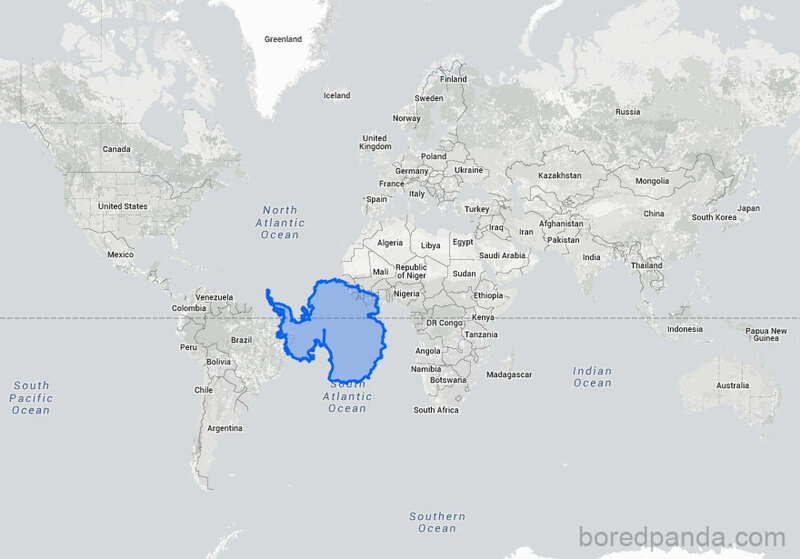 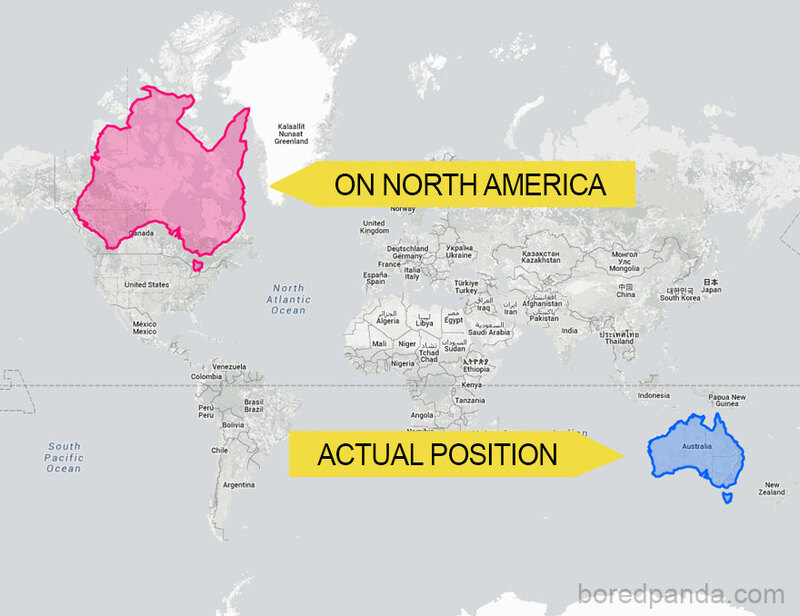 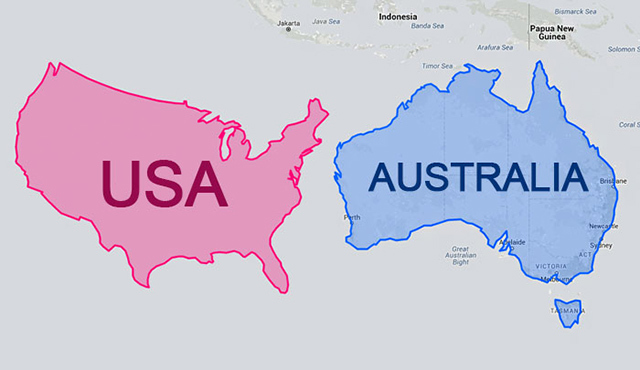 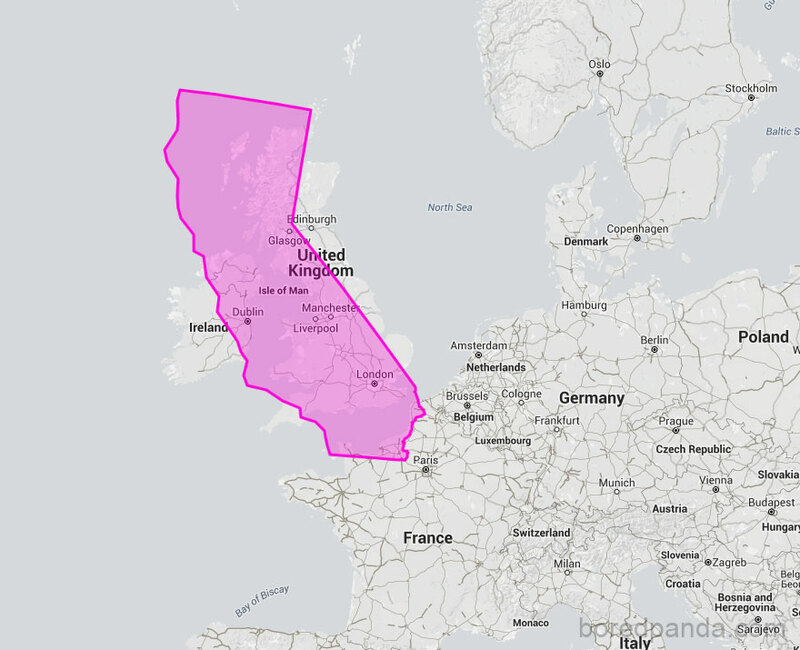 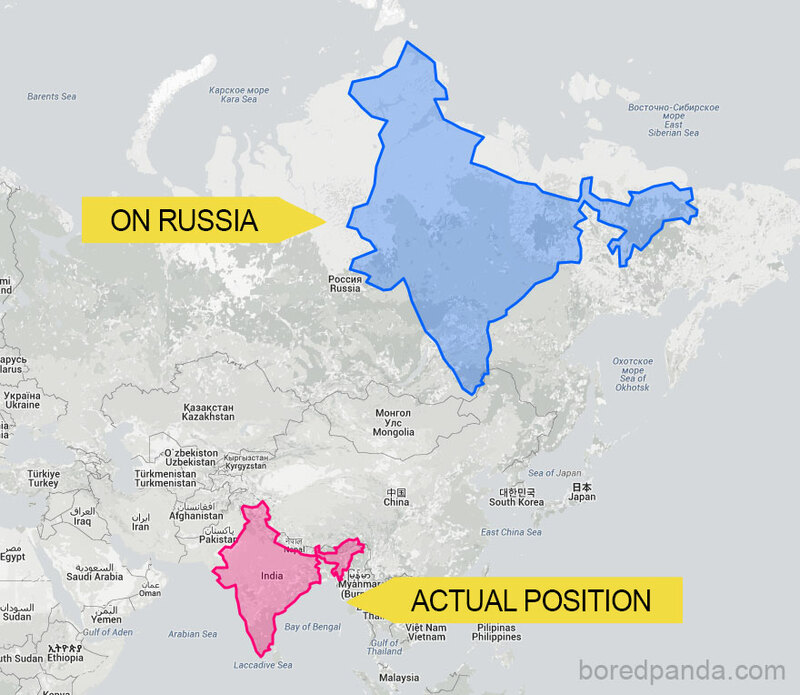 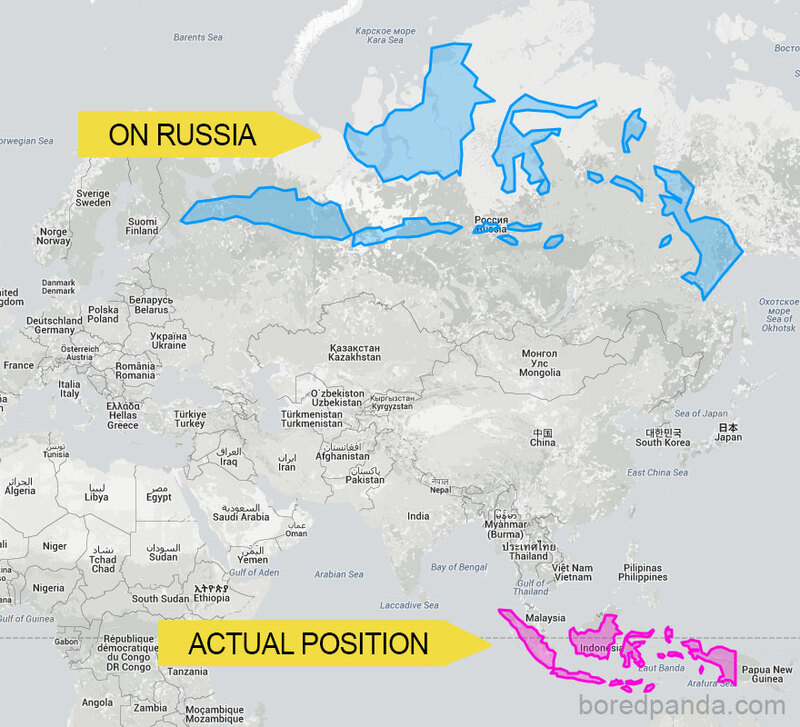 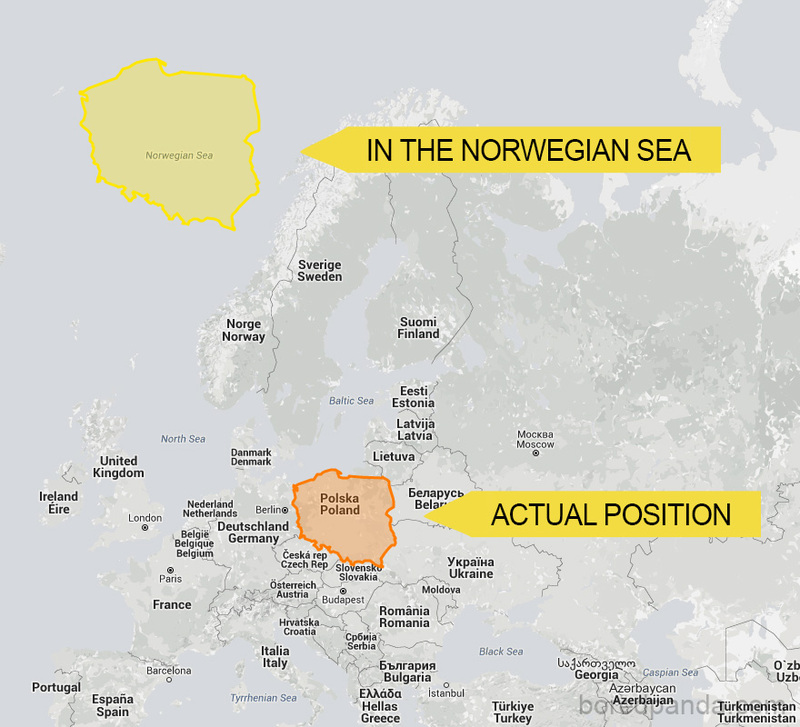 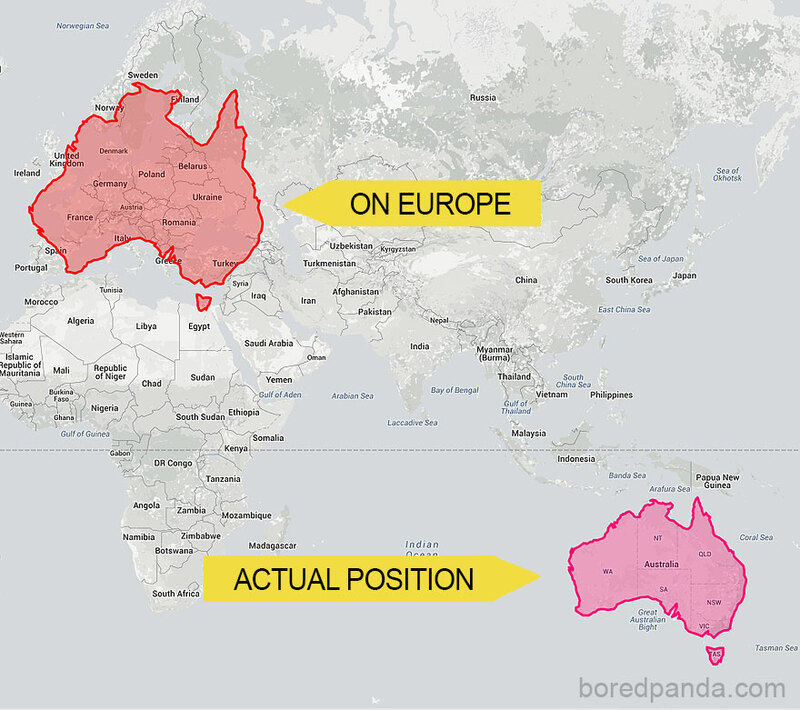 Some countries look way bigger than others, and that’s not always due to them actually taking more space on the globe. 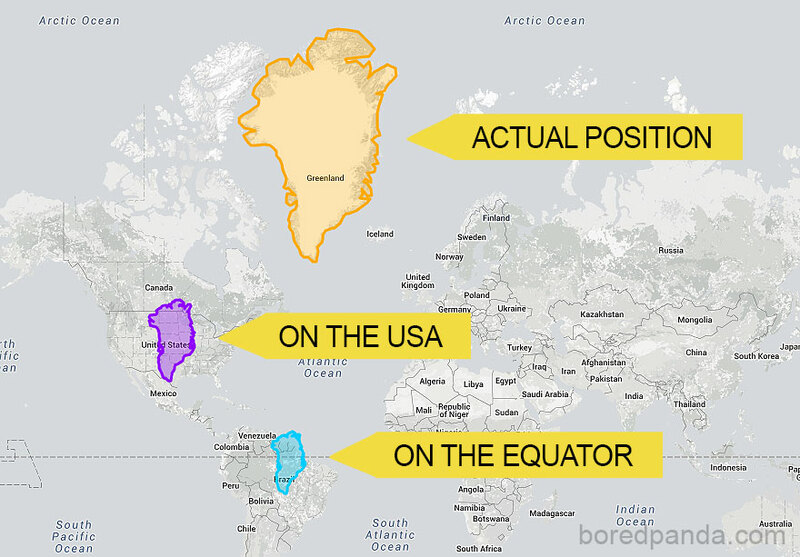 It’s because of something called the Mercator Projection. 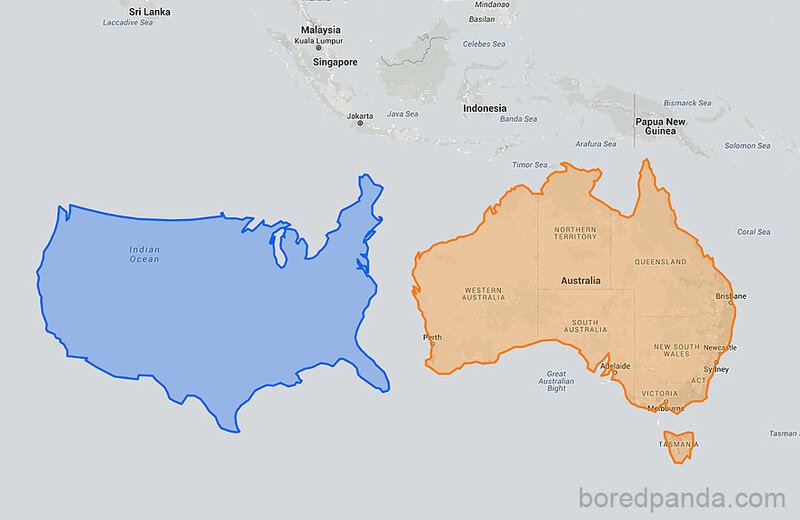 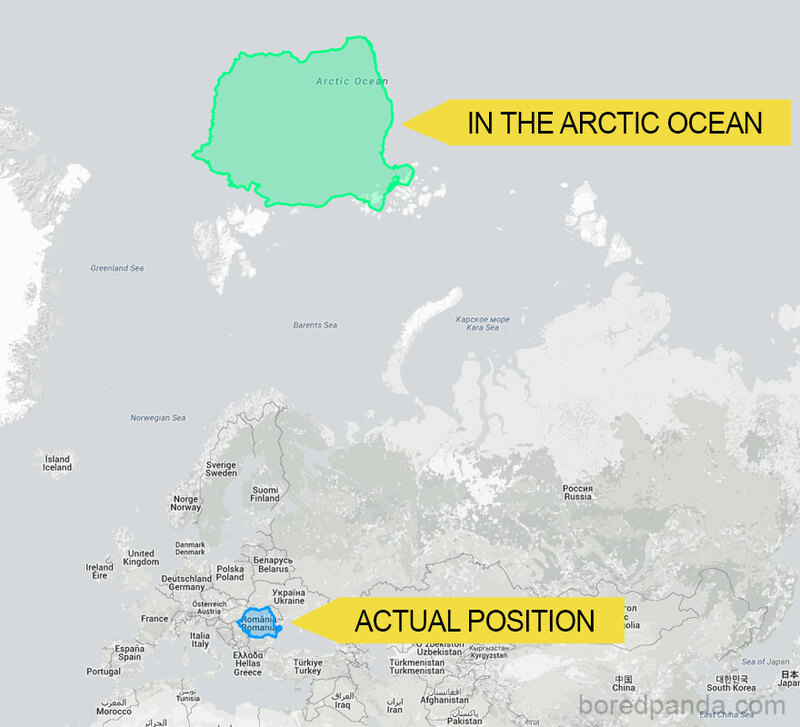 Popular Youtube science channel Vsauce did a detailed video explaining this, which in short says: the popular map format we’ve adopted almost everywhere, is good at mimicking the shape of land masses, but is pretty loose when it comes to an actual scale. 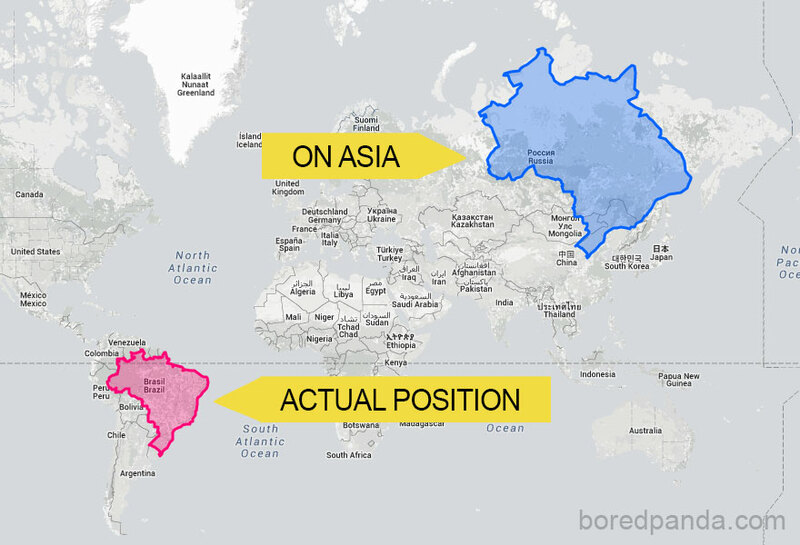 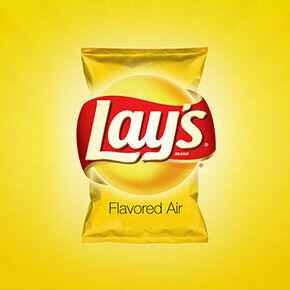 The problem comes when you try to put a 3D planet on a two-dimensional map. 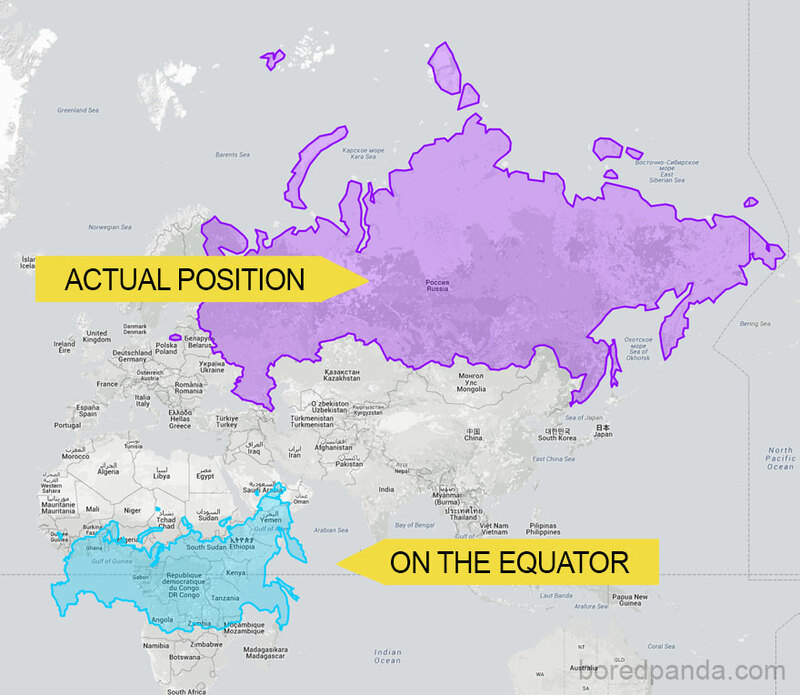 Geographer and cartographer Gerardus Mercator came up with a solution back in 1569. 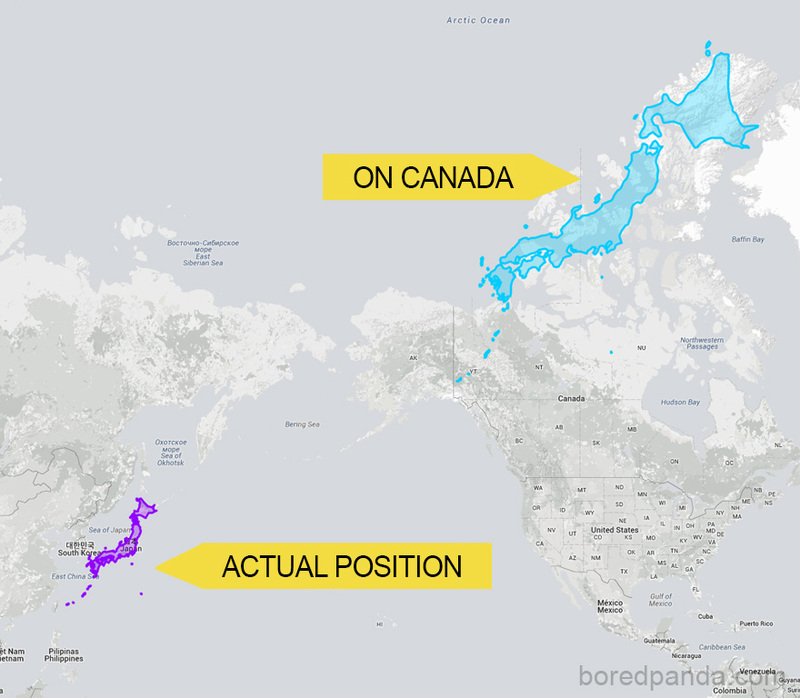 He designed a map that could be accurately used for navigation purposes, but the downside was that his system distorted the size of objects depending on their position relative to the equator. 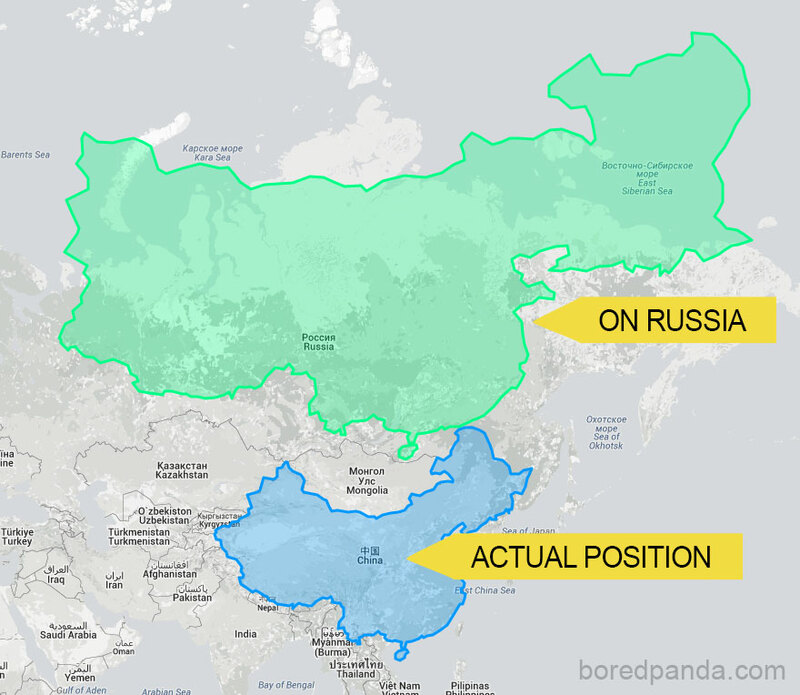 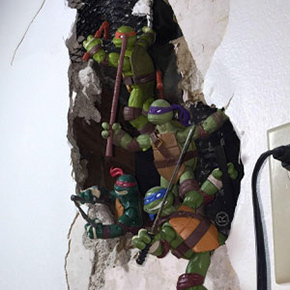 The guys at Bored Panda went to thetruesize.com to play with this concept and here we bring you the pics of what they uncovered. 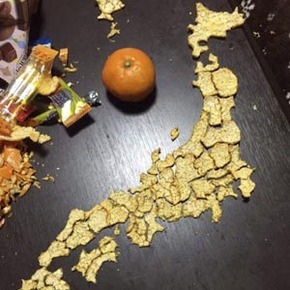 Your country wasn’t in the pics? 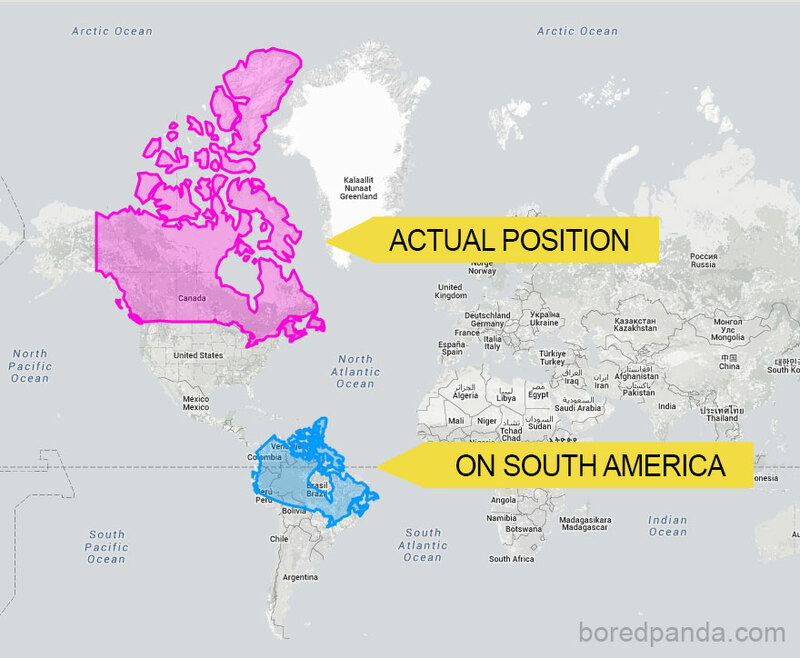 Head over to thetruesize.com and fix that.